Once a Day Marketing partner James Glover is an engaging presenter and enjoys sharing his wealth of branding knowledge and wisdom with his audience. Glover has extensive experience lecturing to businesses, organizations, and universities. 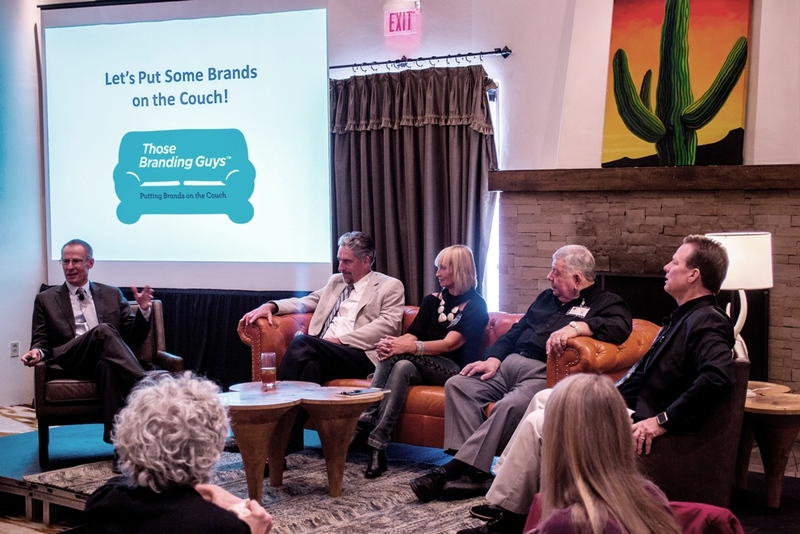 Once a Day Marketing offers dynamic and insightful lectures on branding, marketing and media that captivate and inspire audiences large and small. Please contact us to learn more about our lectures, workshops, webinars or to schedule an appearance. Successful brands do whatever it takes to be number one in the minds of their target markets. They know how important it is to Brand Bold. Companies that Brand Old keep doing what they’ve always done as they watch their market share fade away. This lecture rattles the cage of branding and encourages all brands to be bold. Marketers frequently attempt to make their brand all things to all people. This lecture stresses the importance of brand positioning and how it shapes all subsequent branding and marketing activities. The 7Ps of Marketing are powerful tools to use for enhancing your brand. This lecture looks at each “P” in detail and how strengthening each component will build a strong and recognized brand. Once a Day Marketing leads informative and action-oriented workshops related to all of our lectures. In addition to onsite lectures and workshops, Once a Day Marketing shares presentations to clients utilizing online webinars.